First, make sure your Google calendar is synced. The process is the same on all devices. Go to Settings. Then open Mail / Contact / Calendars. Next, select Add Account and Gmail. If you have already added your Gmail account, then instead of Add Account, choose Gmail from the list. Make sure you are signed into your Google account. On this page you will see a list of all your calendars. Beside each calendar there is a check box. Tick the check boxes of the calendars you want to sync with the iPhone or iPad. Shared calendars that you don’t have administrative control over need to be selected individually, and the default setting is “Off”. This means that when a new calendar is shared, you will have to go back to https://www.google.com/calendar/iphoneselect and configure again. Open the Calendars app on your iPhone or iPad and wait for it to sync. Google+ has just had a huge redesign. The social network has been entirely refocused on interests, and in the process dropped several of its most used features. The new Google+ is much simpler. You’ll see this clearly in the new navigation centered around Collections and Communities. With Collections and Communities, discovering amazing things is simple: just follow or join whatever happens to pique your interests. Google+’s new focus is on Collections and Communities: Collections allow you to immerse yourself in a specific subject — home brewing, sous-vide cooking, or Guatemalan entomology, for example; Communities allows you to meet up with like-minded users. The new Google+ also makes it easier to post, search, connect, and keep up with great content in a fully redesigned home stream. There’s a big update to Google Photos today. You can now share albums. The feature allows friends and families to collaborate on photo albums. Google Photos users can subscribe to albums and receive notifications whenever an image is added to the album. You can also send out invites for collaboration, as you can with Google Docs. Google also added the ability to label people on your albums. These labels can be customized, so you can call your friends and families by nicknames if you prefer. You can also now finally use Chromecast to cast your photos to your TV. And you can also cast Google’s animated GIFs to your TV. The features are launching on Android this week, and will arrive on the Web and iOS a while later. I have been a diehard Google Chrome user since its inception. The ability to sync bookmarks, passwords, and web history across all my devices made the switch from Firefox a no-brainer, but what I find really interesting is the amount of extensions available for Chrome. Extensions are tiny programs that run inside Chrome. There are more than 50,000 extensions and you have to be careful because not all are friendly and not all play friendly with others. A 2014 study found several hundred malicious extensions. That said, you can trust me that the following extensions are safe and useful if you’re part of the 64.9% of internet users who use Google Chrome as your browser. With social media, it is way too easy to waste time surfing instead of getting things done. To help save you from yourself, use the StayFocused extension, which prevents you from connecting to any time-wasting sites for a set period of time. The list of blocked sites can be customized from the options menu if you do not like the stock blacklist. Keep in mind that once the timer is set, it cannot be stopped, so be sure that you don’t overstate just how long you need it to run. Google Chrome uses lots of memory, so this extension reduces RAM usage by stopping inactive tabs from eating up even more resources, try out The Great Suspender. This extension makes a tab inactive if you don’t interact with it for a period of time. The inactivity limit can be changed from the extension’s option menu. Once you return to an inactive tab, all you have to do is reload it to start using it again. Google Chrome is by far the best internet browser. It is the most secure and has the most features and, as of May 2015, is used by approximately 64.9% of all people browsing the internet from a desktop or laptop computer. Apple’s Safari accounts for just 3.1% of the market. As great as Google Chrome is, there are ways to make Google Chrome run faster. The Chrome flags page is not presented in a user-friendly format – probably because it is not intended for mainstream users. To make things much easier for you, type Ctrl+F to open the search bar in the right-hand corner. Then, in future steps on this post, just type the search term into the search bar and let search find the content on the page. Basically this feature will increase the amount of RAM (memory) that Chrome is allowed to use and this should immediately speed up your browsing. By default Chrome uses 128MB of RAM. In the search bar that you just opened in Step 2, type Maximum Tiles and hit Enter. Once you’re brought to the Maximum Tiles row, click the drop-down menu and change Default to 512. This modification will change the rendering speed of images in Chrome. Search for Number of Raster, and change the number of raster threads to 4. In order for these changes to take place, you need to relaunch Chrome. At the bottom of the chrome://flags page, you will notice a “Relaunch Now” button—click it, and you will quickly see how Google Chrome is faster. What does your company’s website look like on a mobile device? Be ready for Google’s algorithm update on April 21st. On April 21st, Google will begin taking mobile-friendliness into account a ranking signal in search. What does this mean? Websites that are not mobile-friendly will see a severe negative impact on their search ranking and organic traffic. Site that are mobile-friendly will likely see a boost! Site that are not mobile-friendly will be penalized by Google. A mobile-friendly website is a website that is dedicated to the mobile user experience as well as the restrictions that result from smaller screen sizes. Some mobile websites are separate stand alone sites, but all Connect4 Consulting websites are responsive in that they change adapt automatically depending on the screen size. If I hire Connect4 Consulting to design a mobile site for me, will that work for Google’s mobile SEO site update? 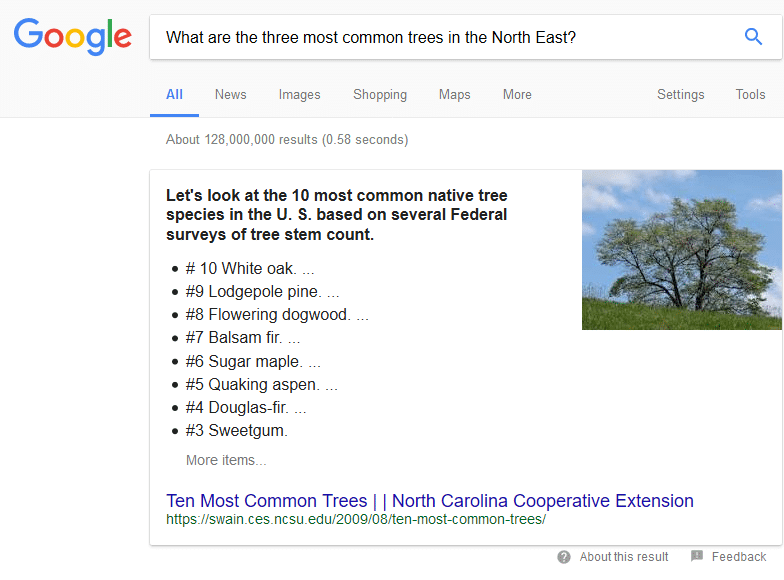 All Connect4 Consulting websites are built to Google’s standard for mobile search. How can I know whether my site is mobile-friendly? Google has a simple tool you can use to determine whether your website is mobile-friendly according to Google. Simply go to Google’s Mobile-Friendly Test and enter your url. If your site is not mobile-friendly, or if your site is mobile-friendly but has errors, you need to make some changes to your site as soon as possible. Not Mobile-Friendly? Connect4 Consulting Can Help You Right Now. Increase search traffic with Google’s next update. On April 21st, 2015, Google will roll out an update that makes mobile friendliness a larger part of its algorithm. This is a really big deal. Should you be worried? Yes! Neil Patel’s blog on Quick Sprout gives you 3 steps to help you take advantage of this update. Be proactive and help yourself so you are not caught with your pants down.